Doogee has just recently had another smartphone to their secure and protected family list, the smartphone is the Doogee S60. This is a device you can't afford to miss right now based on its flagship specs and features which includes: IP68 endurance rating protection, large Memory/RAM, Wireless Charging, Latest Android 7.1 Os and many more. 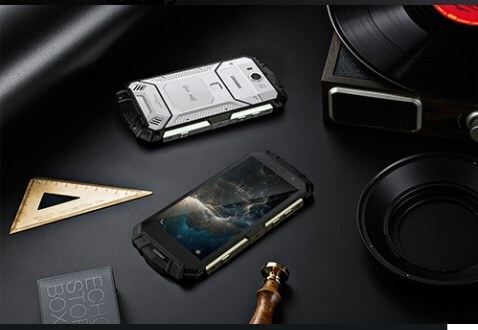 The Doogee S60 currently sale for $269 which you can order directly with free shipping to most countries from Gearbest.com or aliexpress without any issues, a link to the salespage will be added at the end of this article. 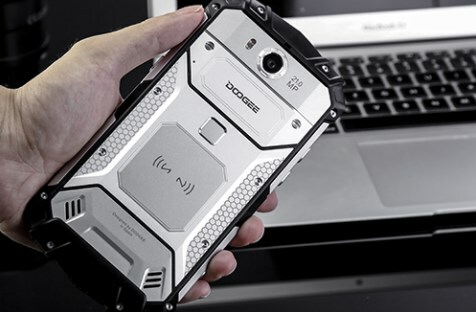 The Rugged aerospace-grade aluminum metal case body of the Doogee S60 will surely catches your attention. At the back you will see the speaker, fingerprint scanner and the main 21 megapixels camera. At the front, you will see the sensors and the 8 megapixels camera. It is also available in Sunset Gold, Moonlight Silver and Mineral Black Color options. An endurance test was performed on youtube for this smartphone, and it successfully pass all the 12 difficult test. It has an IP68 standard protection, which implies resistance to mechanical attack, water and dust. As seen in the official YouTube video in order to confirm the protection status, the device was placed inside an aquarium with a live turtle, thrown into a sink and was buried in wet sand, hit with hammer, frozen and thrown into boiling water without any signs of physical damage. As for the display, we have a 5.2-inch Capatitive Multi-touch IPS-screen with a resolution of 1920x1080 pixels and Corning Gorilla Glass 5 for protection against any external damage. Based on official information and reviews by users the screen readability is very clear both indoors and under direct sunlight. The S60 has passed the IP68 standards with a long time submerging test and resistance to 99% dust. that is why it is your best companion outdoors. With the octa-core MTK Helio P25 processor clocked at 2.5GHz, built upon a 16nm process technology and Mali T880 GPU clock at 900MHz for Graphics intensive tasks you can never go wrong. This is enough for everyday use and gaming with no Lags or stutter. it also has an high antutu benchmark score, buyers can be rest assured they can expect a top notch performance from this device. For convenient data storage and multitasking, it is equipped with 6 GB of RAM and 64 GB of internal memory with expandability of 128 GB. With a big enough battery capacity of 5580mAh, you can never run out of power, because this is enough to last you for a day heavy usage without the need for a charger. 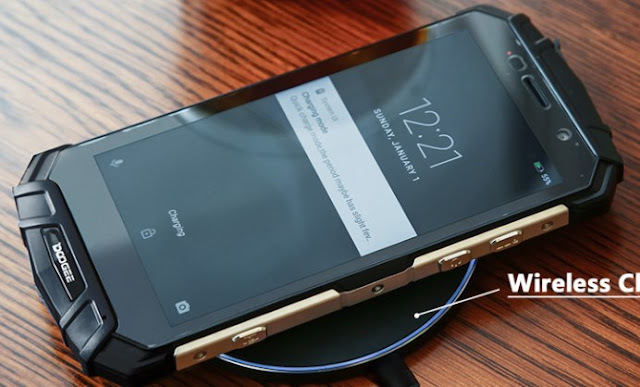 The phone also comes with a 12V-2A fast charging, with wireless charging technology and OTG support. In the main camera section we have a 21 megapixel Sony IMX230 sensor with flash, autofocus, optical stabilization and aperture lens f / 2.0. The front camera has an 8-megapixel sensor and a lens with a f / 2.2 diaphragm and a viewing angle of 87 degrees. With the 9 creative camera shooting modes, you can appling the classic DSLR funtionality roulette that puts creative control in your hands. You can even take pictures under the water or pool all thanks to IP68 protection making your outdoors adventures memorable.The Sony IMX230 sensor with big 1/2.4 inch CMOS size can also record 4K videos. The reversible and convenient Foxconn USB type c, uses the latest USB interface technology and provides great convenience in inserting the cable as well as guarantee the safety of charging and data transmission at the same time. The NFC feature allows you to make payments and transfer files without the need for using a card smart and easy. It's the key to smart life with daily convenience. A new way to pay, with only one simple touch to complete all payments. The doubled navigating sensor, GPS and GLONAS is essential for adventures. As well as all the outdoor tools to keep you safe and comfortable in field. Doogee S60 delivers a Crystal clear stereo sounds. The stereo speaker is designed beautifully sysmmetrical on the back. No matter is a camping, or a hiking, you can always listen to the high fidelity stereo sound, up to 102 decibel. The Doogee S60 Smartphone is available for worldwide use, you can buy at a discount price starting from $269 online at GEARBEST Online store or aliexpress, they are one of the best and trusted online store and they can ship /send your purchase items to anywhere in the world, shipping is also free Via Flat Rate Shipping. I Like Jesy j9s because it is a rugged smartphone, solid 4GB RAM/64GB ROM, 16MP camera smartphone with Qi wireless charging, NFC, IR sensor and great build quality then the JESY J9S should definitely be among our top choices.